It is with the deepest sadness that the family of Sophie Ann Misshula announces her peaceful passing on Sunday, September 24, 2017. Beloved by all who met her, Sophie lived to be a person for others. She brought love, joy, and happiness to her family and friends from the day she was born in New York, New York on April 19, 1996. Since then, Sophie relayed magic, strength, possibility, and love to those around her. She was funny and sweet and clever and hard-working and wise beyond her years and, above all, a loving and devoted daughter to her parents, Nancy Errichetti and Evan Misshula, and a most loving sister to her brothers, Aidan and Griffin. In her twenty-one years, Sophie lived. She lived in New York City; Greenwich, Connecticut; Menlo Park, California; Raleigh and Wilmington, North Carolina; and Ubeda, Spain. She travelled to other diverse parts of the world. She pushed the height of her brilliant athletic ability in several sports. She brought grace to many mountains as a most beautiful skier. She cooked a mean egg Gemelli pasta and wrote passionately about her beloved eggs when not cooking or eating them. To be sure, Sophie lived a life well-lived. Sophie's tenacity and grit were inspiring. 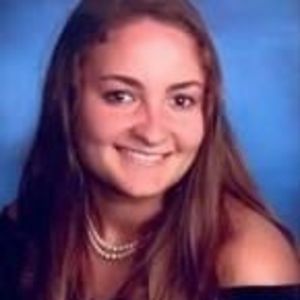 She graduated from Millbrook High School, where she excelled in the classroom, in the community, on the stage of the Women's Chamber Choir, and on the lacrosse playing field and golf course. At University of North Carolina-Wilmington, Sophie thrived as a Communications major and Professional Writing Certificate candidate. Sophie gave many gifts to the world. One of her biggest gifts was her resolve and commitment to integrate people of diverse cultures, recognizing that we are more alike in our differences. True to her enterprising spirit and love of the embracing-Latino culture, Sophie helped launch Alpha Psi Lambda - a co-ed Latino fraternity for which she served as its Community Service Chair with a focus on helping children reach their potential in school. Alpha Psi Lambda was her family-away-from-home. And, at home, Sophie loved her close-knit family with ferosity. She was predeceased by her adoring Grammy - her grandmother, Ann "Bobbi" Errichetti, from whom she learned her culinary gifts. Along with her beloved parents and brothers, Sophie leaves her grandparents - Vivien and Abraham Misshula; her aunts and uncles - Maryann (Dr. Glenn) Davis, Meg (Dennis) Helms, Michael (Beba) Errichetti, and Steven (Estelle) Misshula; her cousins - Dr. Christopher Davis, Julia and Alexander Helms, Luisa, Michael, Mark and Thomas Errichetti, and Zahava Misshula; her furry-pal, Maverick, and so many anecdotes that will be told for years and years to come. Sophie set an example of how to love and live with abandon and thoughtfulness and be a kind and luminous person. Sophie was, and will always be, the light and love of our lives. To celebrate her, there will be a memorial service held on Sunday, October 8, 2017, beginning at 4:30pm and concluding at 6:30pm at North Ridge Country Club, 6612 Falls of Neuse Road, Raleigh, North Carolina 27615, telephone: 919-846-9667. In lieu of flowers, the family respectfully requests that you consider memorial donations to The Mosaic Project, 478 Santa Clara Avenue, Suite 200, Oakland, California 94610, telephone: 510-452-3377; email: info@mosaicproject.org.